Duntroon Society Victoria/Tasmania Branch is organising and coordinating the 2018 Reunion at the former OCS site at Portsea. Our small organising committee will present our plans to date for discussion. Timings: 12 for 12.30 pm, Thursday 19 October 2017. Cost: $65 per head for a 2 course table service lunch with table wine followed by cheese, fruit, tea/coffee. We look forward to your company with guests to meet, greet and enjoy the occasion. September 2018 newsletter out now! 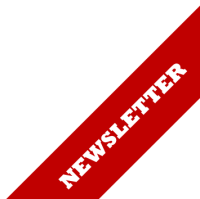 April 2018 newsletter out now! September 2017 newsletter out now! Membership of the Podmore Foundation is open to all members of the public. Tax-deductible donations are sought and accepted from all individuals and organisations supportive of the aims of the Foundation.